One big problem in Uganda is the number of pupils who drop out of school before they have completed their education. The biggest cause of this is the inability to pay school fees. Although there is supposed to be access for all to Government schools through the Universal Primary Education (UPE) and Universal Secondary Education (USE), in practice this is not fully implemented yet. This leads to young people leaving school and looking for work, turning to ‘sugar daddies’ or prostitution to find the fees to continue. 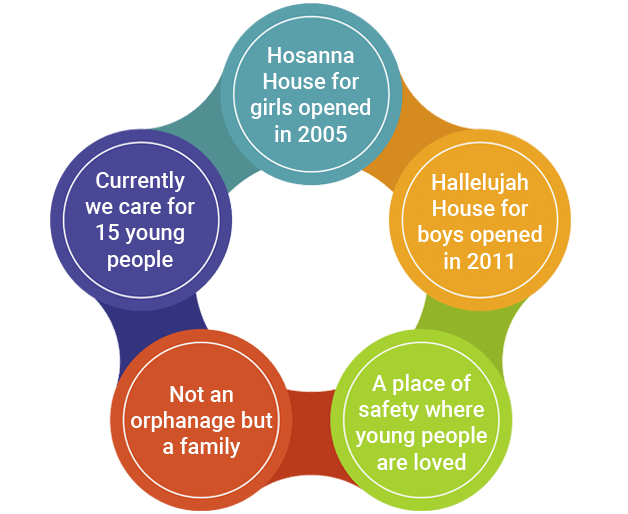 Initially we identified the problem with secondary school girls and wanted to provide a safe environment for an opportunity to return to school, so Hosanna House was born. Hosanna House is our home for girls who are either at Secondary School or working with us in order to go back to education. This is located on plot of land very close to Masaka Town and to the largest Secondary School in the area. After thinking about this project for some time it happened very quickly, we were shown the plot on a Friday and 6 days later it was ours! The plot had a half finished house on it that we have completed. 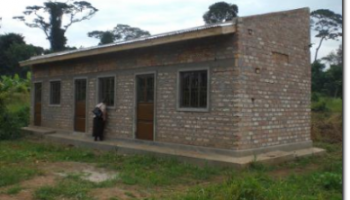 We then built block with 3 rooms that can house up to 9 young ladies and a toilet / shower block. 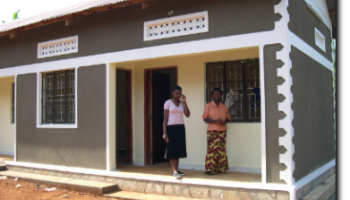 Hosanna House, Masaka - Girls Home. As we continued to grow we gathered a few boys who also needed help and we had to rent a room in town to house them. In July 2010 we agreed to look after a group of young people from another ministry in the town, ‘He Will Provide’ so our family grew by 10! We then employed a full time residential social worker, Sylvia, to look after our growing family. At the same time we moved the boys to the house where ‘He will Provide’ was based. 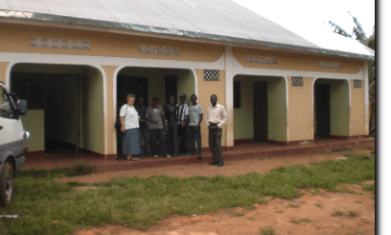 In May 2011 we received a donation to enable a property to be purchased for our teenage boys to live in, this is known as Hallelujah House. At the time of writing we are now caring for about 30 young people, providing education, food and housing. These are spread over 5 sites. 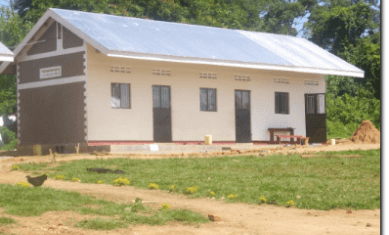 Hosanna House (Masaka) has 7 girls and a young child, Hallelujah House (Masaka) has 5 boys, 4 young ladies live at Bwala and at the school we have Hosanna House with 6 girls and Hallelujah House with7 boys. During this year we hope to build an extension to Hosanna House in Masaka as the current rooms are becoming cramped. The cost adding these 3 extra rooms will be about £6000 ($10,000). If you would like to sponsor this Project please follow the link below.